A Bible was removed from the waiting room of a medical clinic at Eglin Air Force Base because it offended someone. Click here to join Caleb’s Facebook fan page for conservatives! The Bible was removed from the base’s Allergy and Immunization Clinic after the Military Religious Freedom Foundation filed a complaint, NWFDailyNews.com reported. 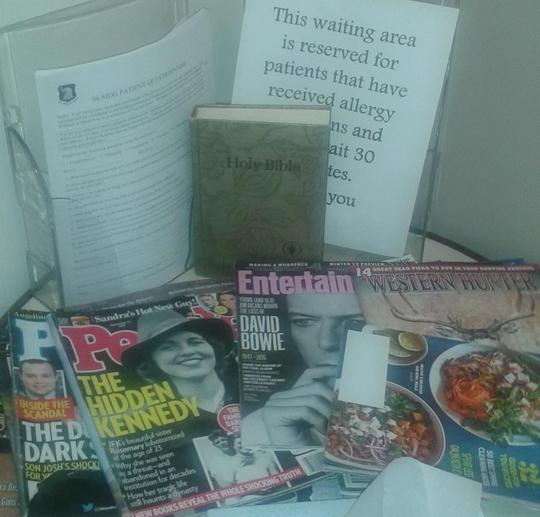 Major command investigated and decided to move the Bible to the chapel in the hospital. The waiting room essentially became a “Bible-free zone” as the other reading material, including several gossip magazines, remained. The Bible-cleansing caught the attention of the Christian Fighter Pilot, a popular website dedicated to Military Religious Freedom and Christian Service. This case isn’t about freedom of religion – it’s about targeting a specific religion – the Christian faith. So if you found yourself in the waiting room, would you find more comfort in a Bible verse or the latest dirt on the Brangelina split?